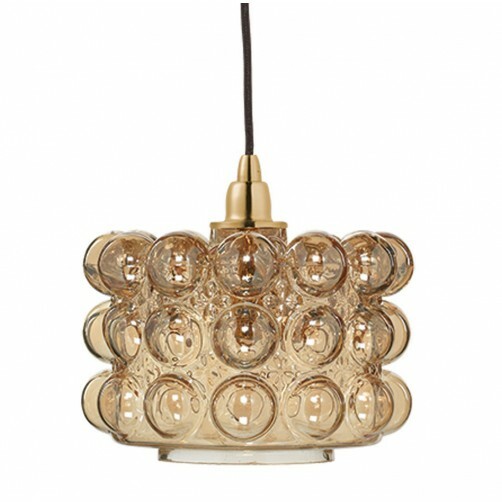 Inspired by a vintage aesthetic, this gorgeous Cici pendant light features the signature quality of hand-blown glass. 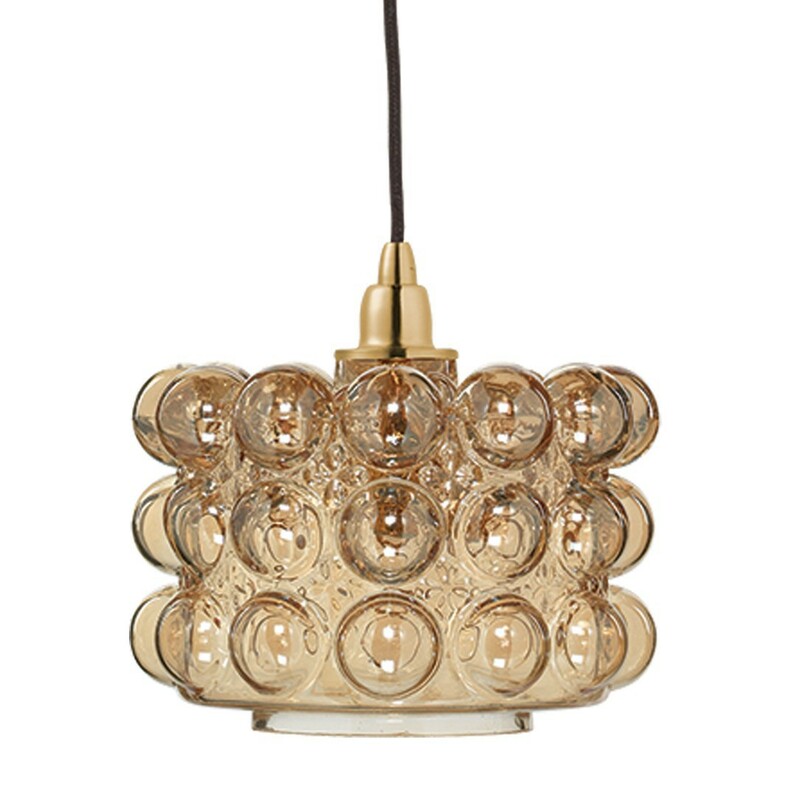 The bubbled glass detail pops from a long textured shade with a iridescent gold hue that fits into any neutral room palette. 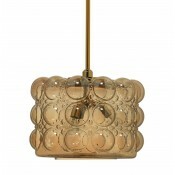 Hang this jewel of a pendant from its modest cord any place you need a trendy yet nostalgic effect. 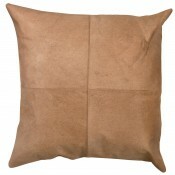 Height: 8.5"h x Width: 6.25"dia.